How true the old adage is – you never really appreciate anything until it’s gone. So much is taken for granted and it’s only when something goes wrong that we fully realise how lucky and blessed we actually are. 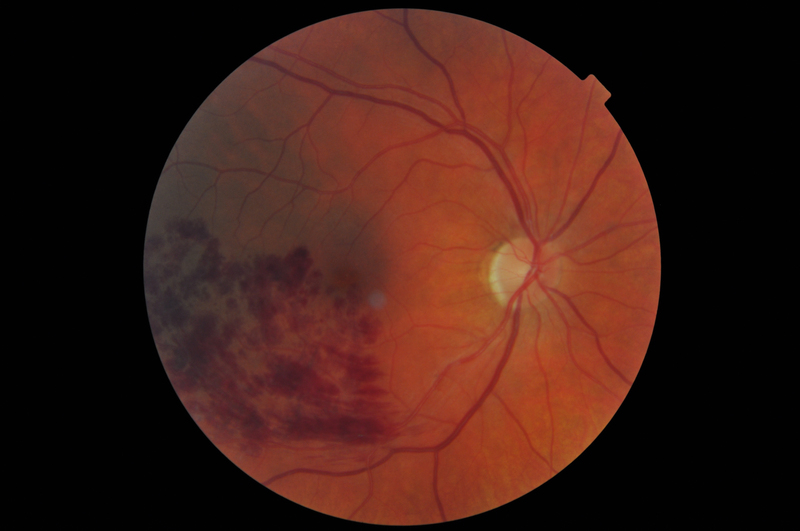 Shortly before Christmas I discovered that I had a BRVO – a branch retinal vein occlusion – in my right eye (my good eye). The world became cloudy and every time I cried at a Christmas movie, I half expected to find blood pouring down my face. The photographs are amazing – modern medicine is amazing. It is amazing how far we have come and also how far we have yet to go. None of the doctors/specialists I’ve seen can tell me why it happened. The cause remains a mystery. Nor can they tell me if it is likely to happen again. My vision acuity is 125%. I can see what I focus on – but everything around it is blurred. Reading text is like being followed by a moving wave… and the scary thing is that I’m getting used to it. The treatment is new – legalised last year – an IV injection of something that costs in the region of €1000 per ml. My specialist is reluctant to give it to me as technically I can see very well. Most frustrating but then, at that price, perhaps I’m just as well off. I need to wait about two months and hope that the blood is reabsorbed into my system and the bruising disappears. It could take as long as a year. My initial fear on diagnosis gave way to irritation and frustration at seeing the world through a foggy lens, and is now settling down to the stark realisation that I have little other choice but to adapt. And it could be a lot worse – at least I can still see. On the days that it doesn’t bother me as much, I have a new appreciation for my sight. And on the days when I can’t see very well at all, I have a new appreciation for my sight. This week, out of all the things I’m grateful for, I’m grateful that I can still see. I’m with you on this one – I’ve had the occasional unexplained release of blood into an eye, and it can be quite frightening. Mine has always obviously been very minor and has cleared up within hours, but the uncertainty of whether it would or not was always present. And there’s nothing worse, so to speak, than an itch you can’t scratch – and in this case, that’s the last thing you should attempt! Hope your eye is better very soon indeed. I wish you good health and rapid recovery! I’ve said this before and love saying it every day. I’m grateful you are my friend!!! 1000 euro is about 1300 US dollars, Donna… at today’s rate 🙂 I used to remember to convert the rates I blogged about – mea culpa – or in Hungarian, én vétkem. And yes, agree. Ageing certainly beats the alternative!